One of the leading names at international level is without doubt Mike Ganus. Over the past ten years, Mike has made it his goal to excel in the most prestigious one loft races, including most notably the Million Dollar Race, Victoria Falls and the Golden Algarve Derby, which are very demanding competitions. 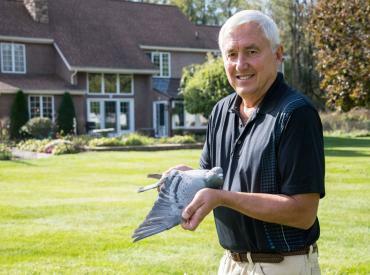 Mike has been working to create a most appealing team of breeders, including a large selection of Million Dollar winners and ace pigeons. These in turn enabled Mike to claim victory in the 2016 Million Dollar Race, and to dominate the 2017 Victoria Falls Classic. In this auction, youngsters of the best breeders.